Today’s word of the day is serendipity which my dictionary defines as “the making of happy and unexpected discoveries by accident or when looking for something else”. It’s word of the day because it’s just happened to me! In my post of April 6th, I namechecked Lori McKenna as a writer but noted that I didn’t have any of her performances in my collection. Today I opened a newsletter from the excellent site http://www.noisetrade.com and on clicking through, I discover that Lori McKenna is offering a free five-song sampler to preview her next full-length album out later this month. I don’t know how long the tracks will remain available – but see if you can download them and tell me what you think. I rather think I’ll be buying the album! If the previous post was obscure then this is downright rare! I got it in December 2012 as a Christmas present from my sister who is acquainted with the artist, Peter Whitehead. Now, since my big sis does not usually hang around with musicians, this was unusual. Turns out the album is a private pressing by Mr Whitehead who had it professionally recorded as part of a sabbatical from his day job as Executive Appointments editor on the Financial Times! There’s an article about it in the FT of November 15th 2012. It’s nicely put together package (and whatever sales it achieves will benefit http://www.downs-syndrome.org.uk ) and I like it for two reasons. Firstly, although Peter Whitehead is no professional musician, it’s a project assembled with care by people who enjoy playing music competently not as a career but just out of love and enjoyment. 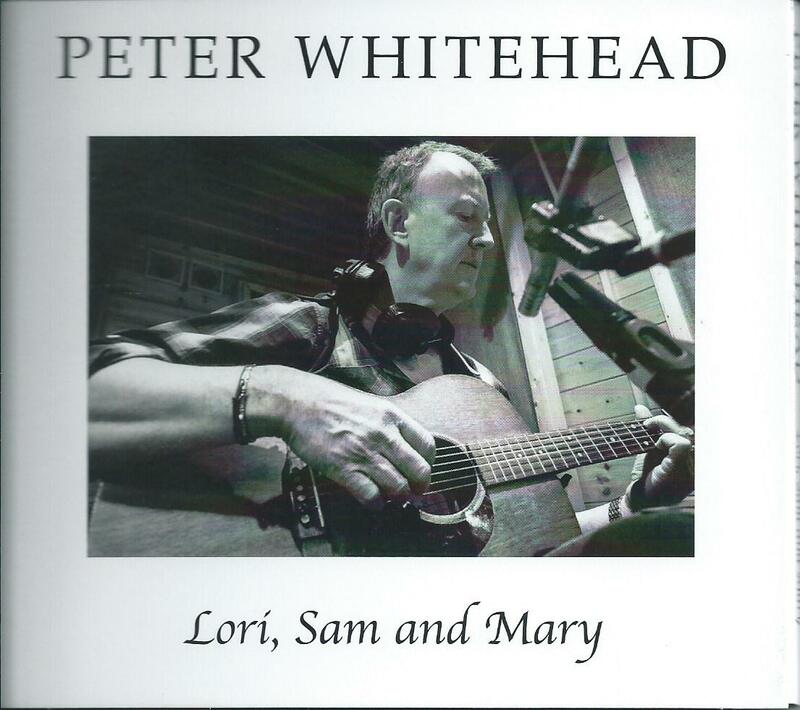 It features a group of mates (and Mr Whitehead’s teenage daughters) working together in a studio environment with a professional gloss given by producer Mark Tucker (who’s engineered or produced for outfits like Show of Hands and Fairport Convention).The second reason I like it is because Peter Whitehead has chosen to record twelve songs by three US writers whom he admires but who were not known to me before hearing this. The USA is hardly short of talented women singer songwriters (think Joni Mitchell or Carole King and perhaps more recently Mary Chapin Carpenter, Nanci Griffiths and Gretchen Peters or Ani Di Franco, Suzanne Vega and Michelle Shocked to namecheck my favourites) and it quite interesting for a British Bloke to champion three lesser-know ones: Lori McKenna, Sam Baker and Mary Gauthier. I haven’t YET got around to purchasing the composers’ own recordings – but I probably will since the album’s first two tracks (Baker’s ‘Snow’ and McKenna’s ‘Ruby’s Shoes) are really strong songs. What’s great is the way a piece of music from an unexpected source can open up a door to new talents you’d never heard before and who are unlikely tour the UK (or even be featured on national radio outside the rare specialist show).